A 13-year-old girl sensationally won a bronze medal at the Commonwealth Games. 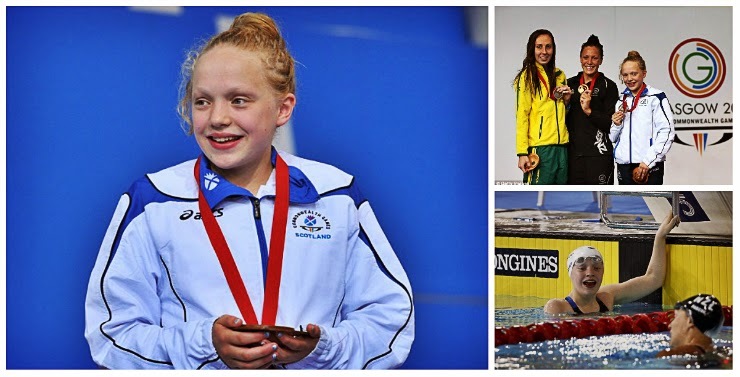 Shetland schoolgirl Erraid Davies came third in the women’s 100m breaststroke SB9 final at Glasgow 2014. The teenager set a new personal best for the second time in a day. Scotland’s youngest-ever Commonwealth Games competitor had come second in the heat and fought her way into the medal positions in the last quarter of the final. Roared on by the crowd, she finished just behind Australian silver medallist Madeleine Scott in one minute and 21.38 seconds, with New Zealand’s Sophie Pascoe taking gold. England’s Siobhan-Marie O’Connor followed the schoolgirl’s feats with gold in the 200m individual medley to take her medal tally for the Games to five. The 18-year-old, who had already won three silvers and bronze, broke a Games record with a time of 2:08.21, more than two seconds ahead of Australia’s Alicia Coutts. Hannah Miley added the bronze to her gold in the 400m race, finishing just ahead of England’s Aimee Willmott again. It was another case of nearly but not quite for England’s Lizzie Simmonds as she finished fourth in the Commonwealth Games 200 metres backstroke final.